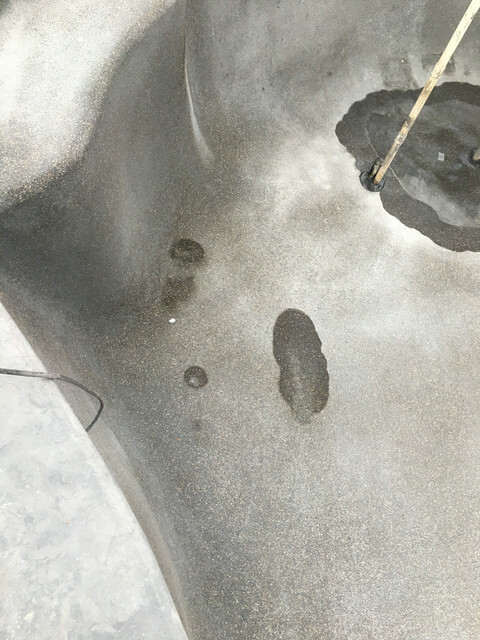 So we had water seeping through our Gunite and our pb told us that is completely normal, the pebble Tec was put in yesterday and this morning it still looks like water is seeping through.. My pb again is saying it's fine and the pebble guys will just need to cleanup, do the acid wash then start filling up. Once the pool fills with water, the pressure will be equal on both sides of the pool wall and the water will have no reason to migrate into your pool. I don't see a problem. Yes, it will be fine and you'll never notice anything one way or the other. 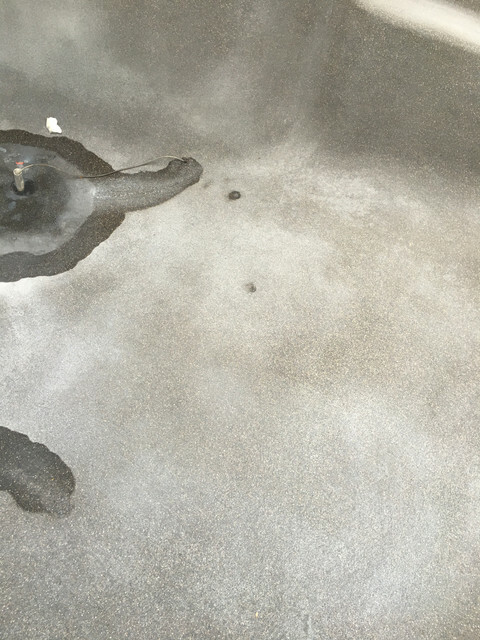 A pool evaporates 1/8"-1/4" of water every day. For a typical 16x32 pool that is 40-80 gallons per day. That spot of water is ounces at most. Also, plaster cures underwater. So, it doesn't start curing until after the pool is filled. Really appreciate the tips! Was freaking out for a sec.. Currently filling up.. Can't wait! If the water was going the other way, I think I'd be a bit more worried. Great looking pool! I love the colors of everything - really a nice feel when looking at it. What color is the pebble tec? Please post lots of pictures after its filled! You're not alone. That water seeping up through the plaster would have worried me, too. Interesting and great that it won't be a problem.